As a resident of the Yakima Valley for over 30 years and a graduate of Selah High School, Marcus knows what home in Central Washington feels like. He graduated with a BA in psychology from Gonzaga University in 2008, and has been in Yakima ever since. 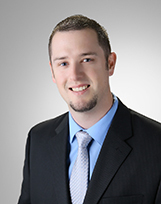 With his formal education, he also brings an accomplished background in sales & marketing to the real estate world. Marcus is fascinated by the human personality and really loves meeting new people. Helping others achieve their real estate goals is his primary responsibility as your agent, and he takes immense pride in accomplishing that the Berkshire way. Outside of real estate, Marcus is a husband and father of two beautiful girls, Mia Rae & Emma Sue. He is also the current head coach of the Yakima Valley Pippins baseball team, and has held that position since their expansion year in 2013.